Autodesk announced the release of 123D Catch for the iPad. I have not yet tried the iPad version, but assume it’s mostly the same since before you chose the photographs to be sent to the cloud, and now it is sending photos you are taking from the iPad. 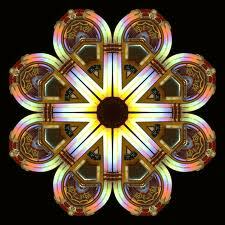 One of the criticisms I had with it before is that you had to follow a very particular way of taking photos, which apparently I was not very good at because all my results came back looking like a kaleidoscope. However, everybody is looking for an iPad app/strategy these days and this helps. And if you get good at framing the pictures, using this on site to get basic 3D geometry, most likely for massing purposes or some initial energy analysis, well that’s very cool. While Autodesk labs has already made Photofly available for free over the web another competitor has thrown their hat into the PointCloud from Photos ring, Areoscan , and I have to say they are playing a game of catch up with Autodesk, who I believe already has a pretty good reseller network and did I mention Photofly is currently free. Add to this battle that Autodesk most will likely have the functionality built into the next AutoCAD release and its a big hill they are starting to climb. So I can’t say if there will anything new or compelling in order to pay for the service, unless they are going to fly you to their HQ in New Zealand for a personal demo. And don’t get me wrong I am always rooting for new companies but right now cannot see how the services between Photofly and Areoscan differ, except Photofly is free and Areoscan is more difficult to pronounce.